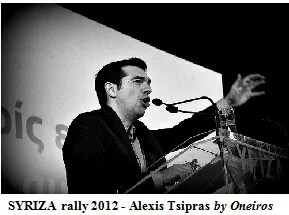 “After accepting a mandate to create a multiparty administration following inconclusive elections, Alexis Tsipras sent shockwaves through financial markets by announcing the pledges Athens had made to secure rescue funds from the EU and IMF were null and void. Europe’s foreign ministers Monday urged the use of frozen funds to finance Libya’s opposition, which has complained of a cash shortfall after failing to receive aid pledged by international donors. In a statement on Libya, the 27 European Union ministers said the bloc “acknowledges the urgent financial needs of the (opposition) Transitional National Council”. They also welcomed specific cash contributions by Italy and France, which is releasing frozen funds to the rebels. Extra global aid to the Benghazi-based opposition “where possible” could include “the use of frozen Libyan funds”, the ministers said. “Measures in this regard will respect the rule of law,” the statement added. 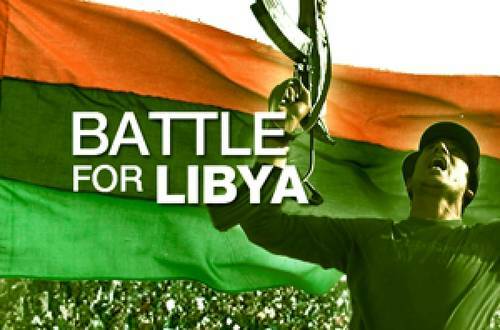 Libyan rebel forces said Sunday they were running out of money and had not yet received any of the roughly one billion dollars promised by international donors earlier this month. Several books, including Seeds of Destruction and Corrupt to the Core, along with the film, The Idiot Cycle, lay out the framework for and evidence of a concerted effort to sicken and then treat humanity, while earning obscene profits. When we factor in other recent actions taken by transnational corporations and lawmakers, the conspiracy adopts a more ominous tone. 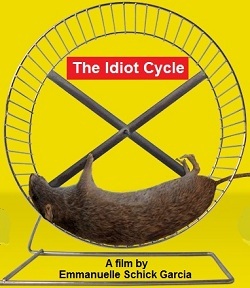 Authors William Engdahl and Shiv Chopra appear in Emmanuelle Schick Garcia’s powerful film, The Idiot Cycle: What you aren’t being told about cancer. Both writers provide detailed evidence of a corporate-government conspiracy to adulterate the food and water supply with dangerous substances linked to a host of illnesses. The Case Against Fluoride, a book using hundreds of peer-reviewed studies, provides more evidence. In David Gumpert’s Raw Milk Revolution, we get a peek at the US government’s war on the natural dairy industry. AlterNet published an article by the Southern Poverty Law Center mocking “the Right” for ten conspiracy theories. The Daily Bell responds to the charges below. When the Left agrees with the Right, the SPLC calls them both “extreme” — that is, anyone who doesn’t believe government propaganda and disinformation. This is a common psychological technique employed by governments and their agents: marginalize those who don’t go along with the program. ~ Ed. 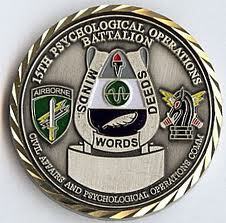 Australian filmmaker and freedom fighter, Max Igan, honors COTO Report by featuring us on his blog this week. Check out The Crow House. Here is his latest film, The Calling, which is a condensed version (68 mins) of three of his films, The Big Picture, Fight the NWO with Global Non Compliance, and NWO: The Final Solution.